Laker women, Cox: Becca Mier ’15, Jessica Vogl ’12, Courtney Panter ’14, Kelsey VanAmberg ’15, and Molly Visel ’14 took 2nd of 38 close behind Bowdoin College with a time of 19:19.60. Time: 8:00 a.m. – 11:00 a.m. Location: GVSU Boathouse (off of 40th Street, below the M-45 Bridge) All rowing alumni are invited to come to the GVSU boathouse and renew ties with their former teammates. 8 a.m. Open row, for those interested in getting back in a shell again. 8:00 – 10:00 a.m. Meet & Greet – Coffee and Donuts at the boathouse. 10:00 Alumni vs. Frosh race; class races. The annual tradition of the alumni taking on this years crop of Frosh will be renewed in the Alumni vs. Frosh Challenge Race. The challenge race will be 1000 meters or as many meters the alumni feel they need to win. There will also be competitive racing for each class. Saturday, October 6th, was the start of Grand Valley’s annual “Family Weekend”. In participation of this event, Grand Valley Rowing’s boathouse and Rowing Training Center were open for rowers and their families to come get better acquainted with (and hopefully grow their appreciation for) the sport. While the weather was a bit dreary, attendance was anything but. Despite the dampness and the chill, Grand Valley rowers and coaches had the pleasure of hosting more than 60 family members. With assistance from some varsity athletes, family members had the opportunity to engage in brief “Learn to Row” sessions on the water; and we were glad to see that many of them did. Some refreshments were served in the boathouse, where those attending were able to mingle and investigate the oars, ergs, and boats, among other things. Both varsity and novice rowers were more than willing to help educate visitors on various aspects of the sport, and answer any questions there might have been. 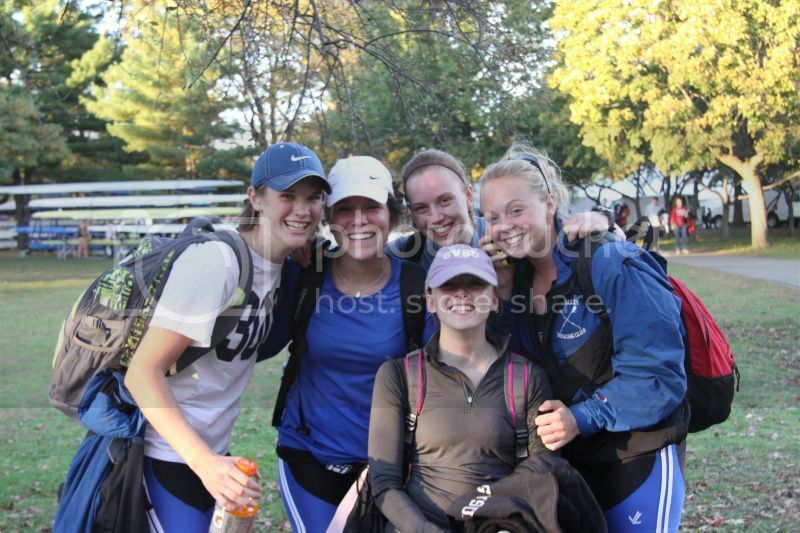 Aside from the great turnout of new faces, Grand Valley Rowing was happy to welcome back Sarah Zelenka ’09. One of her many accomplishments in the sport, she recently competed in the Women’s Pair Event at the 2012 London Olympic Games. She and her pair partner (Sarah Hendershot) finished 4th in the grand final. Originally scheduled for 11am-1pm, the event continued well toward 2 o’clock. This, however, was not a problem – more interest than expected is never a bad thing! Also, it was fun to discover that a couple of our more enthusiastic guests had no affiliation with the team whatsoever. They were instead relatives of a neighbor of a Grand Valley rower who were simply interested enough to check it out. Thanks to the coaches and athletes who contributed to the proceedings, as well as any team member who brought a guest. Thanks also to our distinguished guests. But most importantly, kudos to all the family members that allowed us to share a bit of our pass-time of choice with them, regardless of the weather. We hope you enjoyed the experience, and that you’ll be a part of an even larger crowd next year. 11 – 1 p.m. Learn to Row event – boat house. 4 – 6 p.m. Taste of the Olympics – Grand River Room, Kirkhof Center. There will be a table set up for Sarah to sign autographs. There will be a presentation at 4:30 – It will be about 10 minutes of material. After 5:30 – 5:45 Sarah Zelenka will head over to Lubbers Stadium for the game.